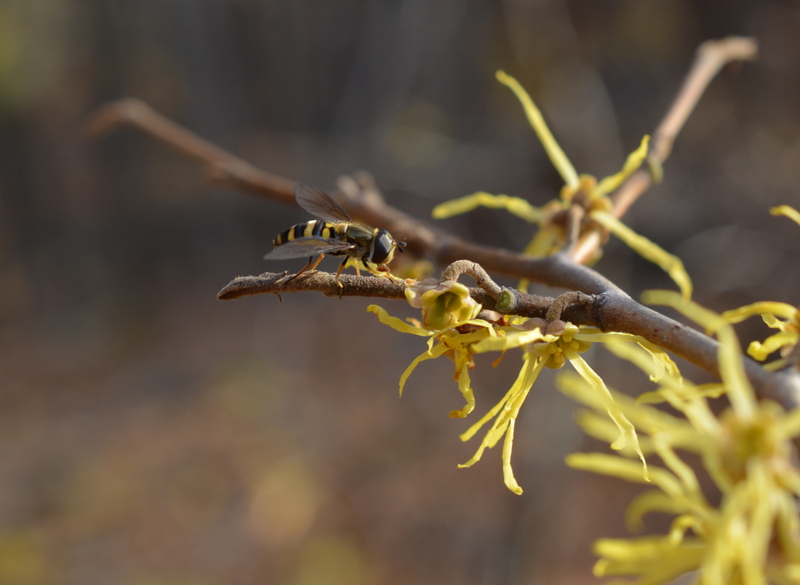 The last flower to bloom in the fall is witch-hazel, a woodland shrub. Long yellow petals form a scraggly looking flower that are in bloom as the leaves fall in the blustery winds of November. Why, bloom so late? A flower that blooms after all the other flowers are gone eliminates competition and on warm autumn days attracts all the attention from the remaining pollinating insects. On a recent sunny and warm November day I observed some gnats and some drone flies visiting the flowers but no bees. Overall, compared to spring and summer, the pollinator activity was far and few and so successful pollination is often hit or miss. In the northern part of the witch hazel’s range only about one percent of the flowers result in mature fruit. 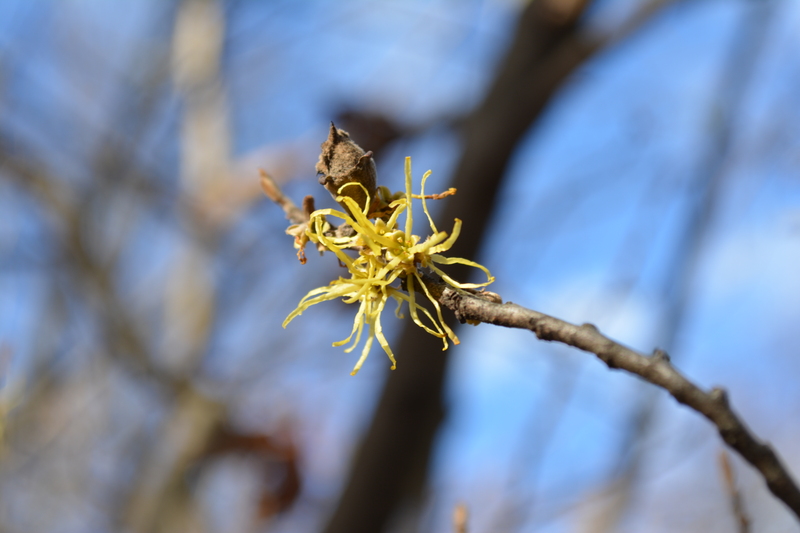 In fact, the witch-hazel demonstrates a rare phenomenon bearing both fruit and flower simultaneously: a flower pollinated in the fall will bear ripened “fruits” the next fall just as a new set of flowers blossom.